at 912-233-8858. If you are in the area, please drop by our store, we love meeting new people! What is different about a Catholic bible? The Catholic bible contains seven books not found in other bibles. They are: Wisdom, Baruch, Sirach, 1 Maccabees, 2 Maccabees, Tobit, & Judith. 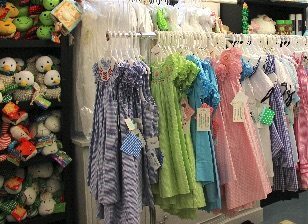 We are open from Monday-Saturday from 9:30-5:30. What does the phrase "Céad Mile Fáilte" mean? Céad Mile Fáilte means “One Hundred Thousand Welcomes” in Gaelic. Erin Go Bragh means Ireland Forever! 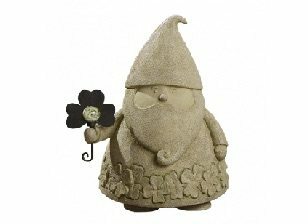 What is unique about SERRV products? The mission of SERRV is to ensure a fair wage for an artisan’s craft or a farmer’s crop. This enables them to have steady work, fair working conditions & the ability to provide for their family. Is your Irish jewelry really imported from Ireland? YES! 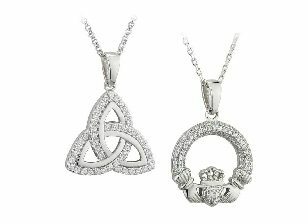 We have several Irish companies that provide us with the most beautiful, high quality Jewelry. If there is an item of Irish “flair” that is not from Ireland it will be noted in the description. 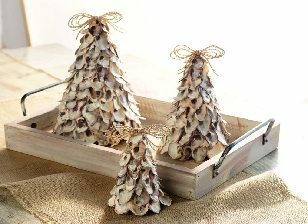 Occasionally, there are pieces that are made in the USA which are simply too fun & festive to pass up! What is the meaning behind the Claddagh? The hands represent friendship, the heart represents love, and the crown represents loyalty. 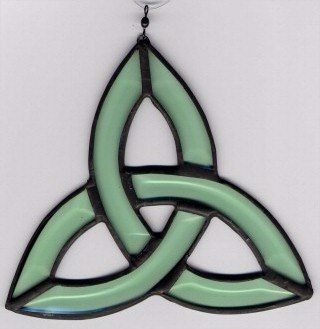 What does the Trinity Knot symbolize? The Father, Son, & Holy Spirit. What is the story behind St. Brigid's Cross? The daughter of Dubhtach, a Leinster pagan chieftain and stubborn nonbeliever, Brigid sat in prayer beside her dying father, and whiled away the time by weaving the first St. Brigid’s Cross from the rushes strewn about the floor. Her father seeing the cross asked her to explain its meaning and was so overwhelmed that he became a Christian before his death. 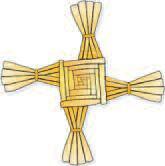 For centuries it has been customary, before the Spring planting, for Irish folk to fashion a St. Brigid’s Cross of straw or rushes and place it at the entrance to their cottage or outbuildings to protect their homes, animals and loved ones from want and evil. To this day, in Ireland St. Brigid’s Day is celebrated on the first of February, and her crosses are still in use.